The OSRAM SYLVANIA Hot Air Tool 3500, containing a built-in "K" type thermo-couple and highly efficient OSRAM SYLVANIA Serpentine element, yields a long life and fast heat-up. A stainless steel outer shield provides improved efficiency and element protection. A slotted exit has been designed for ease of attachment to manifolds, flares, and nozzles. 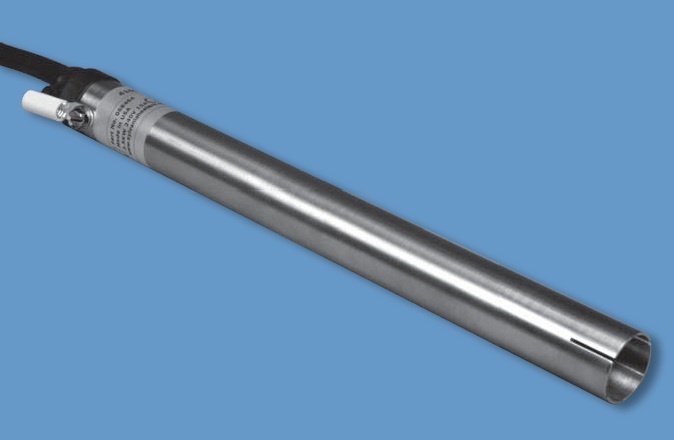 Not only does the built-in "K" type thermocouple allow for simplification of system assembly and consistency of temperature readings, but also may be used to either control or monitor air temperature. 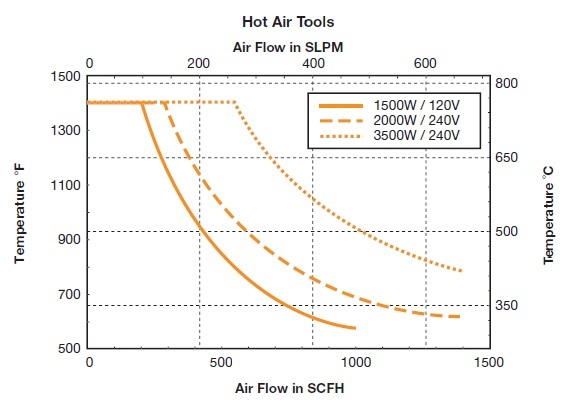 Air temperature can be controlled manually using a voltage control, or with a complete closed-loop control system capable of controlling to ±1°F of set point. A complete line of controls is available. See Datasheet for More Information! Heater Style Volts Max Amps Max. To determine the proper size heater, plot a point, which defines your required air temperature and flow. The nearest curve to the right and above this point represents the proper heater selection. Then Click here to determine your require Wattage. and check out the definitions and theory Page.